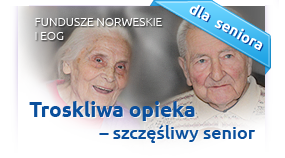 On 3rd November 2014 in Lubsk, in the Szpital Na Wyspie building at 2 Poznańska St. (1st floor), as part of the project "Improvement of health care of the elderly, dependent and chronically ill people from Żary and Lubsk and the rest of the southern area of the Lubuskie province" a consultation point was launched, providing advice in the scope of rehabilitation and nursing of the elderly, chronically ill and dependant people. The point's location is directed primarily at family members and carers of people needing help. The point can be contacted personally or by phone at 533 309 890. Consultations are given by a qualified nurse with extensive experience in the scope of geriatric and long-term care and by a qualified physiotherapist.